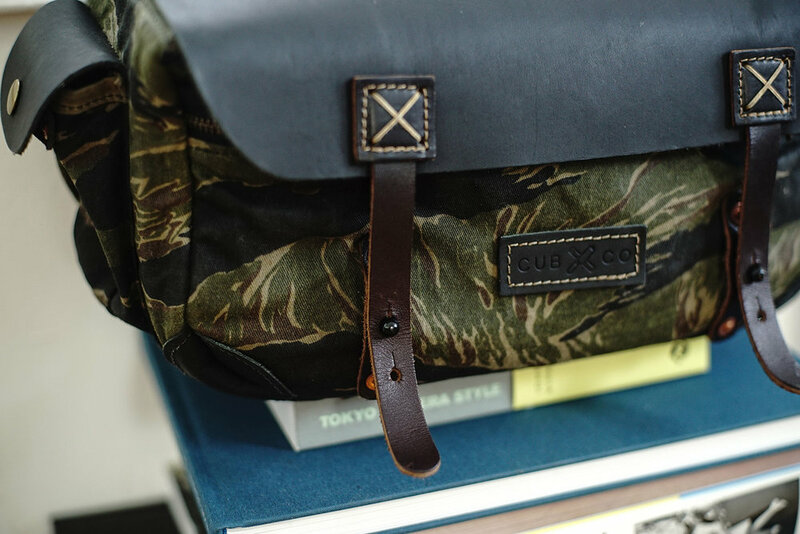 The tiger camo bag is made using vintage U.S. special forces fabric and hand treated with a special blend of natural bees wax and otter wax to make water repellent. Interior features black suede with removable dividers. This fabric is extremely limited and therefore only a handful will be made this run. 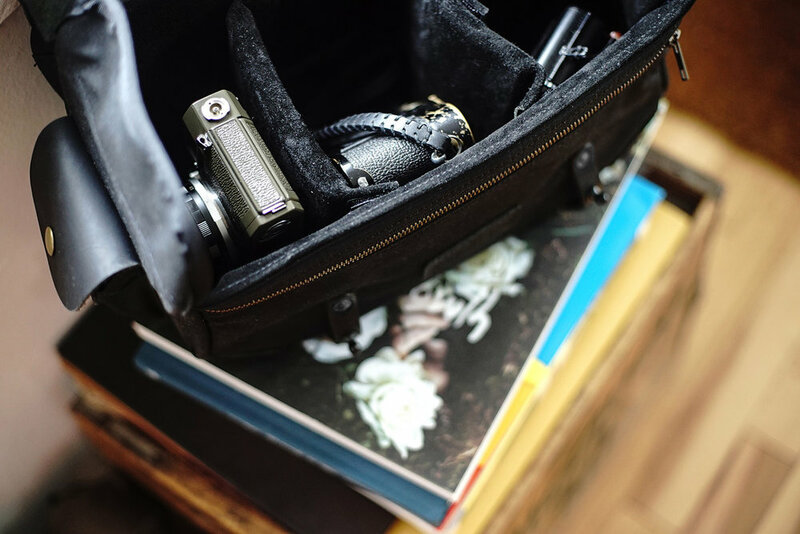 The stealth shooter camera bag features black waxed canvas, black oil tanned leather and all brass hardware, giving this bag a subtle yet classy look. 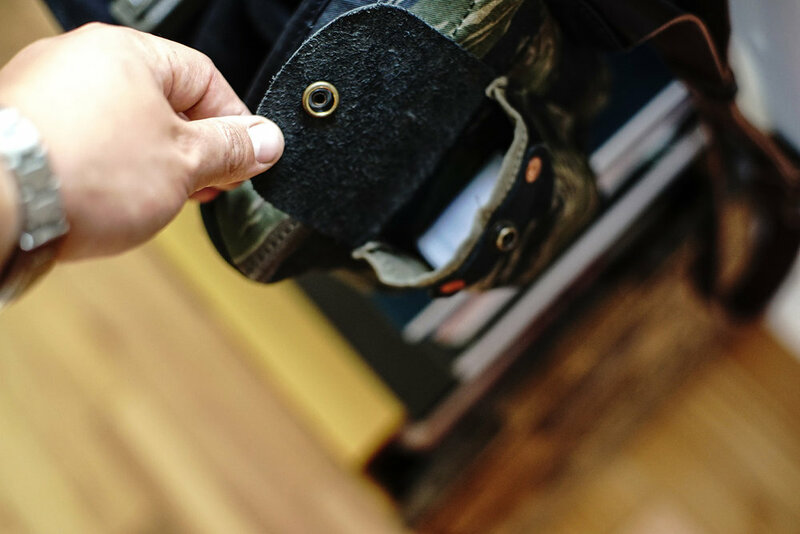 Like our tiger camo bag, the interior features black suede with removable dividers, 2 side pockets that can fit film, a light meter and other essential items. 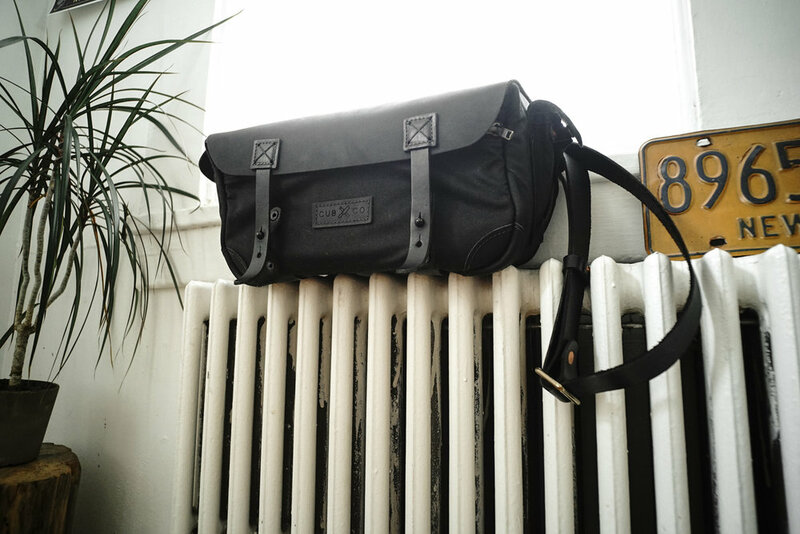 The bag also has a front pocket with solid brass ykk zippers.